Realtime Prices, Sentiment, Tweets, Scuttles, News and discussions on Pandora Media Inc. Pandora Media, Inc. (Pandora), is an Internet radio in the United States. As of January 31, 2012, it had over 125 million registered users. The Music Genome Project and its playlist generating algorithms predict listener music preferences, play music content suited to the tastes of each individual listener and introduce listeners to music they will love. When a listener enters a single song, artist or genre to start a station, a process it calls seeding, the Pandora service generates a station that plays music it think that listener will enjoy. It generates revenue from advertising. It also offers a subscription service to listeners. The Company’s service enables its listeners to create up to 100 personalized stations. Pandora provides service through two models: Free Service and Pandora One. 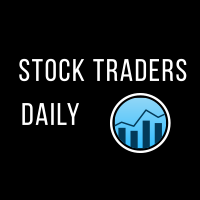 For a limited time get your FREE Stock Traders Daily report on P. Get it now.